Cute pose with the lifted wing. A lovely pose and capture ! 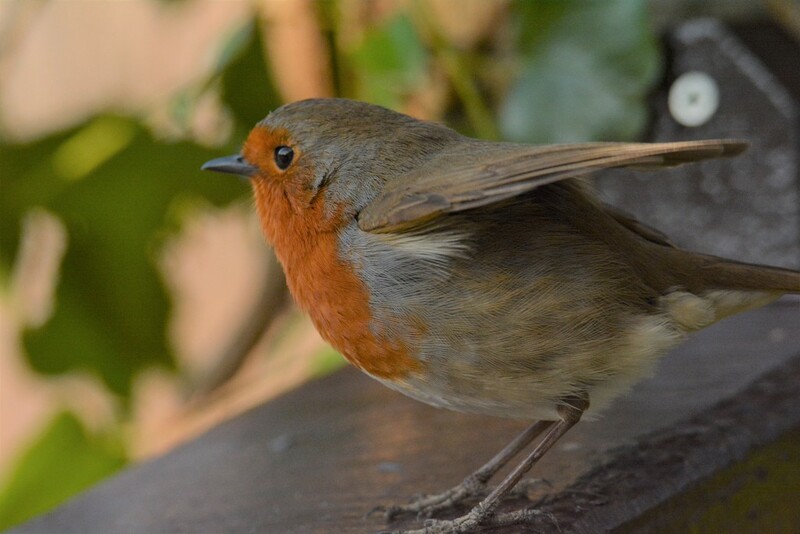 Dear little English robin - most unlike the American robin! I love her with her wings poised such - maybe about to take flight. Sweet. It appears to be ready for take off. Nice catch. What a sweet shot! Fav! Wonderful little guy - great shot! Love the feather detail! Fav!